Look! 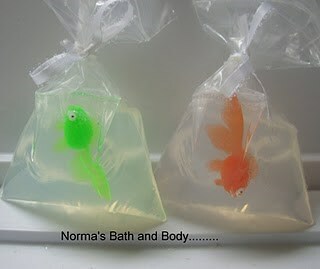 it's a fish in a bag (soap) just peel off the plastic before use. super fun for kids to take that bath. kids get easily bored, so give them a great reason to get to that bath tub! This Fish in a Bag is so cute! Thanks very much! My Son loves it! super fun! if you need bulk to let me know.